Every October for the past five years, the tea shop has been graced with the presence of a uniquely talented, humorous, and sweet man. His name is Konishi-san and he is one of the farmers that grows and processes some of our best teas. October in Shizuoka, Japan (where Konishi-san is from) is a time when life on the tea farm slows down a bit and one is able to think about vacations and trips away. 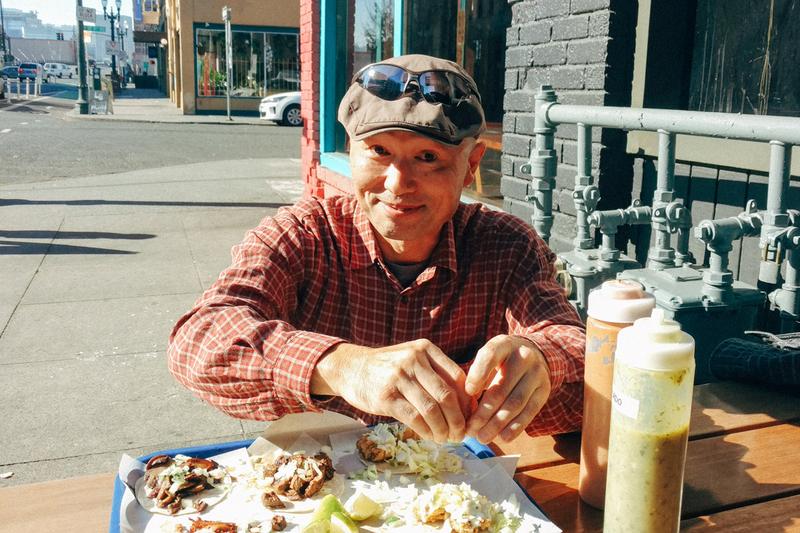 A few weeks ago, Konishi-san was able to make his yearly trip out to see us, and we think this was probably his best trip yet. 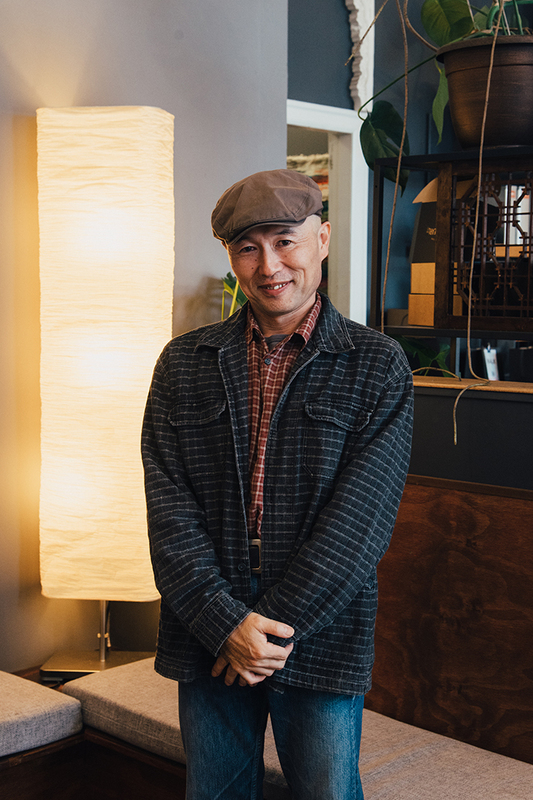 Konishi-san's main desire is to spend time at the tea bar, brewing his teas and sharing them with customers. Each year, he also brings with him a number of special teas that we don't carry in the shop, which he has for purchase in limited amounts. 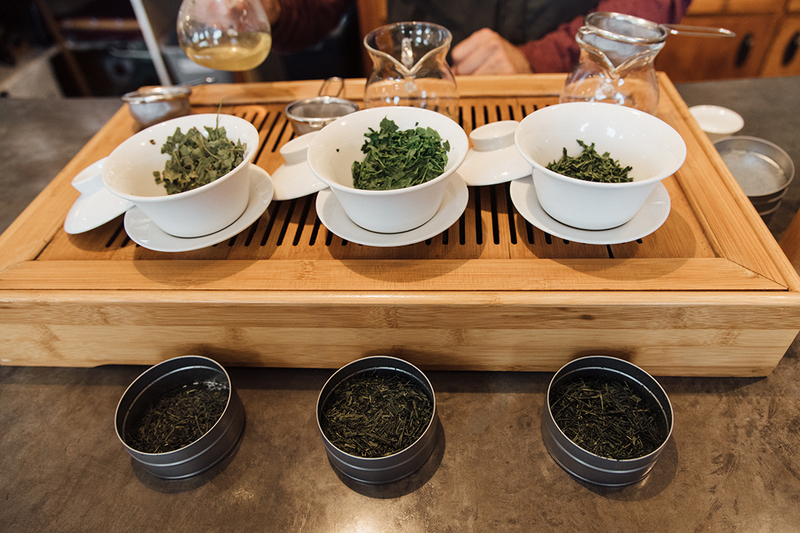 Amongst some of the teas he brought this year were his flagship tea Shizukagozen and Tsuyuhikari Oi-gake. 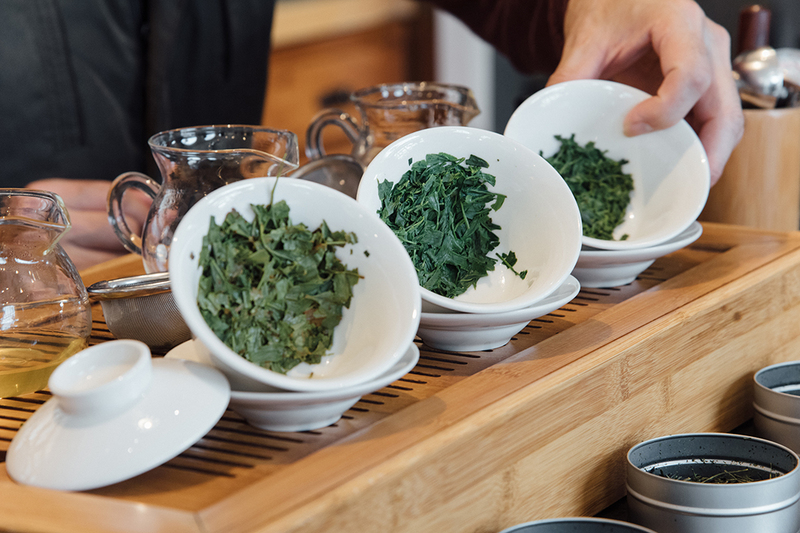 Both of these teas were produced with specialized techniques and extra time and effort, the Shizukagozen being of a standard suitable for tea competitions, and the Oi-gake being a kabusecha or shaded tea. It's no surprise that he quickly sold out of his stock of special teas. We hope that he brings even more next year! But he wasn't only brewing tea and chatting with customers on this trip. 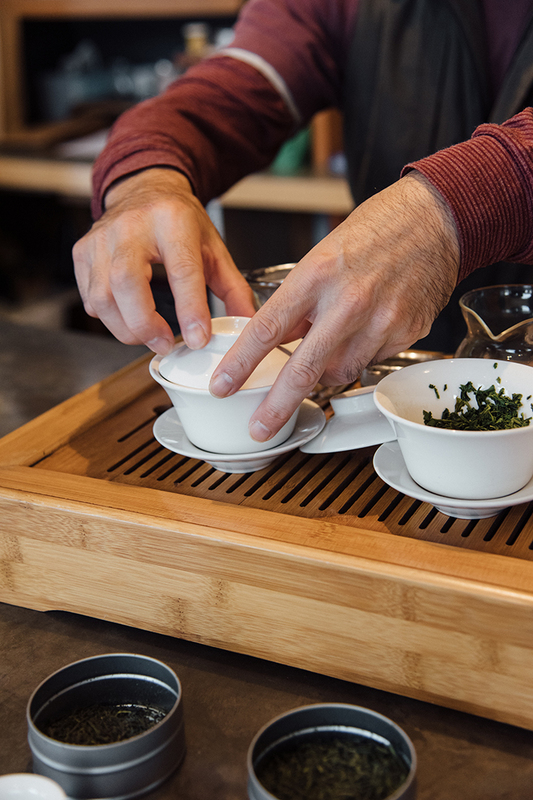 Our staff got to spend some time with him and a translator, so we could ask all the detailed tea-making questions we had been dying to know. He was happy to share more about his life, family, and what it's like living on a farm in rural Japan. One of the things that's so special about our relationship with Konishi-san is that we're able to get to know him on a deeper personal level. 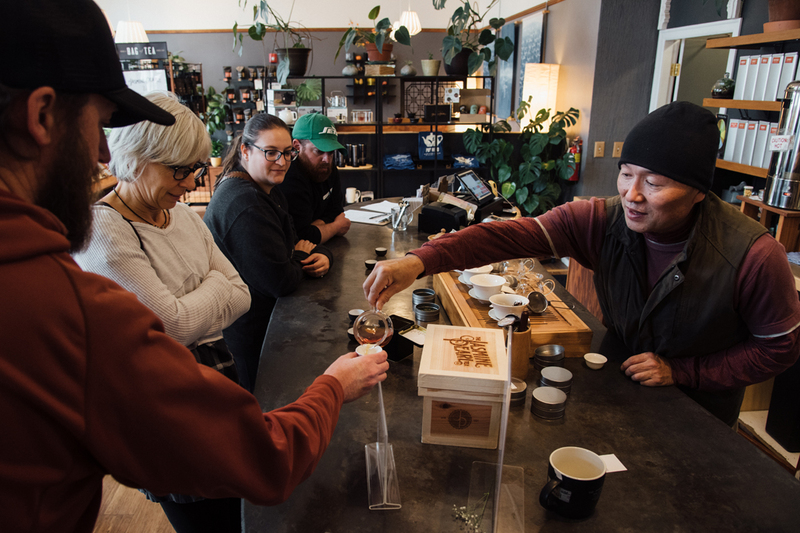 It's been a great pleasure to share his life and his teas with our customers, so that they can experience some of the magic and joy that Konishi-san imbues into his teas. 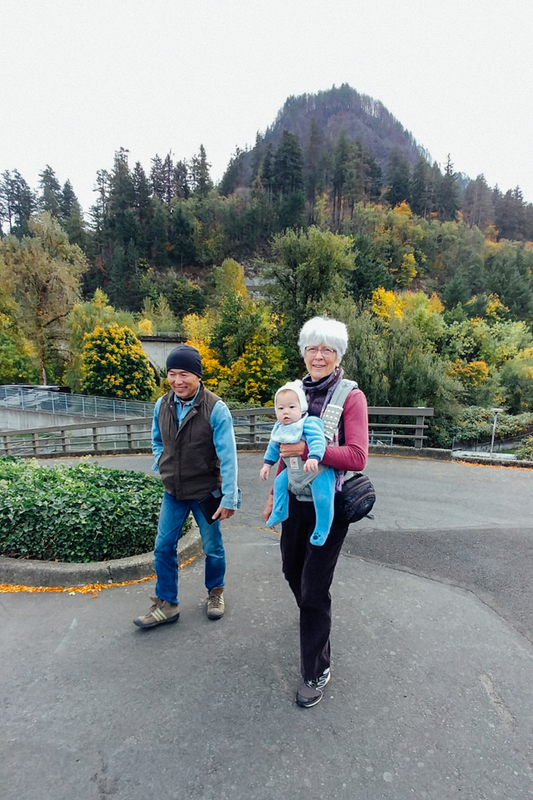 This year we also made sure Konishi-san was able to explore the area and spend more of his trip enjoying a vacation and break from tea farming. We're always sad to see him leave but we know that he's headed back home to take care of his fields and prepare for the next tea season. Soon enough, at the beginning of summer, we'll receive our shipments of his freshly made teas and the magic and joy comes rushing back. 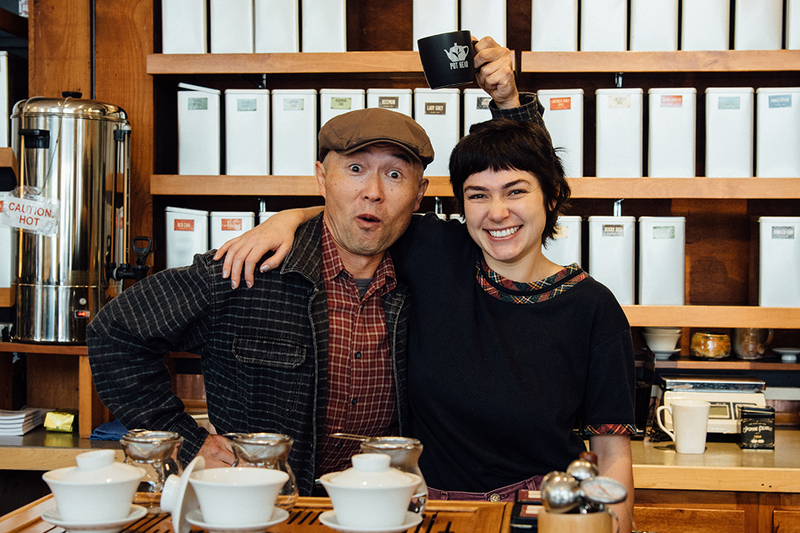 Our mission is to share our love of great teas with you, the customer, and we can't think of a better representative than the teas Konishi-san makes. We carry a number of his senchas and two of his black teas on a year-round basis and we're always happy to brew you a sample and share with you all about this amazing man. If you missed him this trip, or even if you did get to see him but already feel his absence like we do, don't fret—he'll return next year. Stay in touch, sign up for our newsletter and we'll be sure to spread the news when he's on his way back!